This is so exciting and a huge honor! 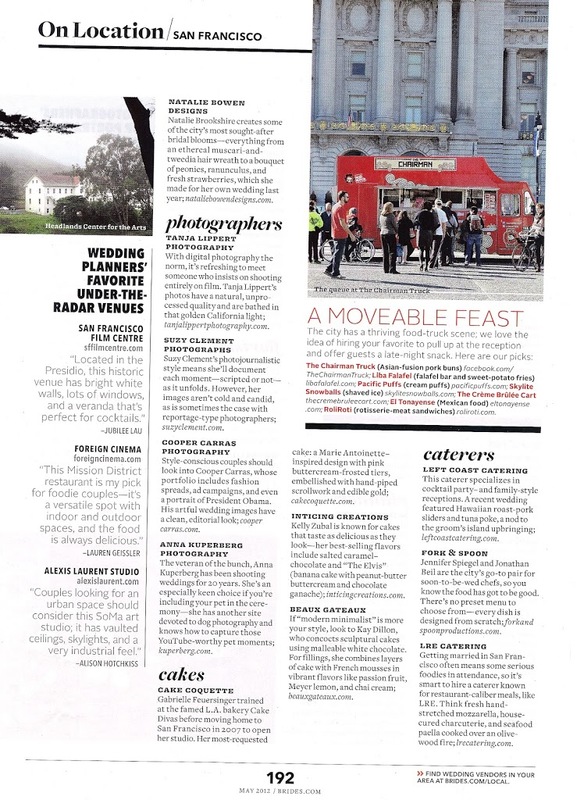 Cake Coquette is mentioned in a special feature about "The people and places you need to know to plan a wedding in San Francisco". My cake (with my decorating hand!) was also chosen for the piece. 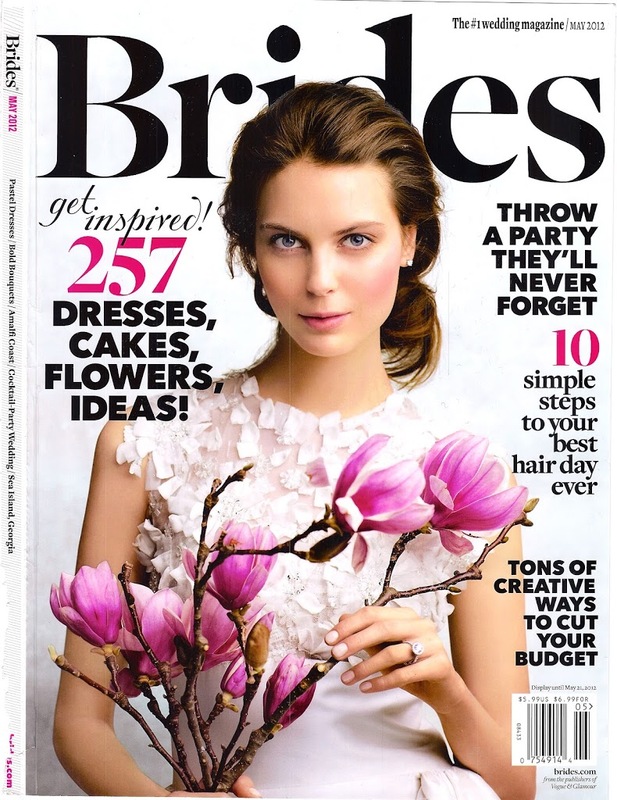 Here are some ideas for simple but elegant wedding cakes. 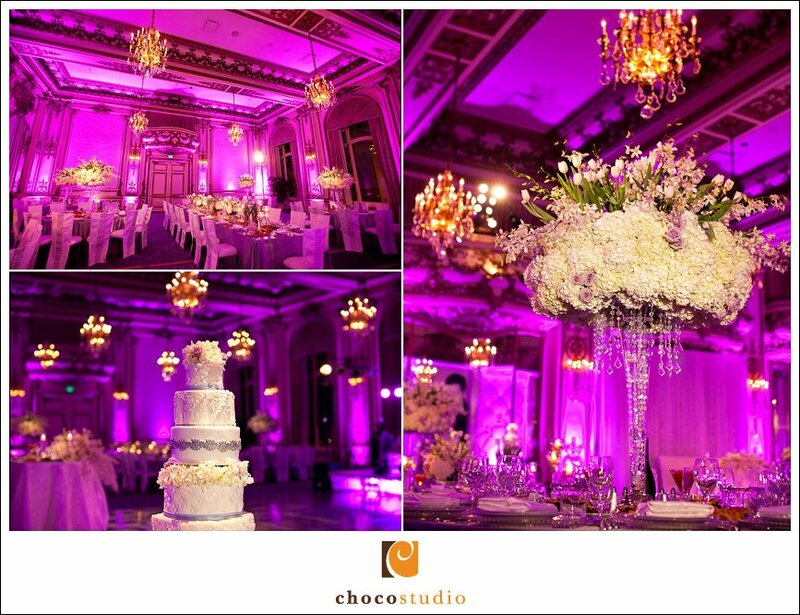 The top cake has a one single sugar flower and the bottom has clusters of fresh flowers and a customized topper. We had the honor of making this 26" tall cake for the 20th anniversary of the Republic of Tea. We recreated the tin of their anniversary blend which should be in stores now. We got to sample it...so delicious! This lovely white cake full of ruffles is definitely what is hot right now. 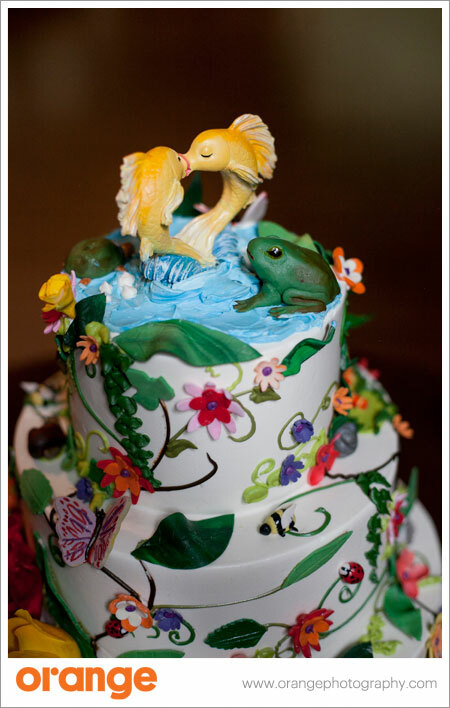 I can't take credit away from Maggie Austin Cake (http://maggieaustincake.com/) in Washington DC who is the incredible talent behind this cake design. A Louboutin shoe....The structure underneath is not edible but it is covered in fondant. Kudos to the cake designers who can make shoes entirely out of sugar, it seems too fragile so I'm for extra support. And a 1st birthday party cake for a tea party at the Fairmont. Lucky girl! This tall cake (with one faux tier for extra height) had ruffles, quilted textures and a lace pattern that matched the brides dress. Here is a close up of the lace pattern that I loved. This Tiffany cake had a real box incorporated into the cake for the bride to open. The ring on the bottom was NOT real! Sorry for the unattractive background, but I love this cake. I made if for my close friend who wanted to showcase Mexican embroidery for her fiesta wedding (Left). 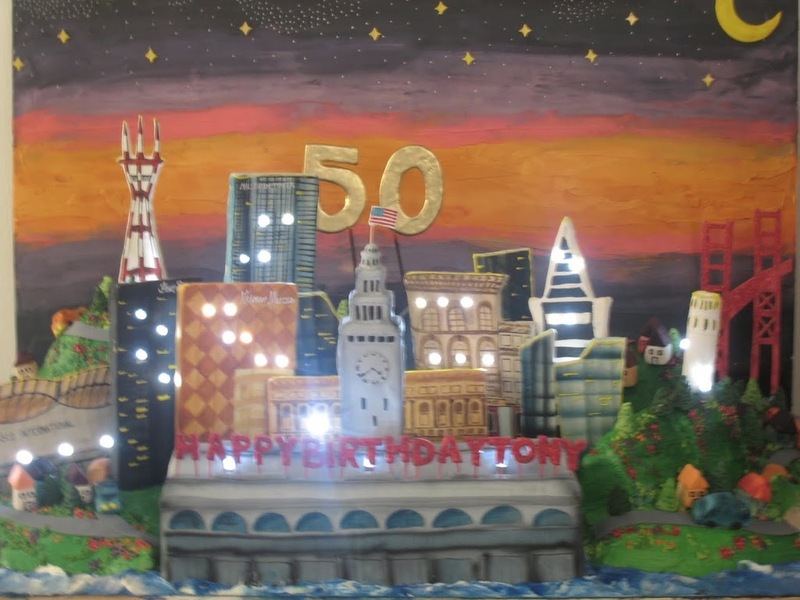 Here is a newest addition to the many San Francisco skyline cakes I have done. This one is the biggest yet on a 4ft base board with 3ft tall sugar painted sunset backdrop. 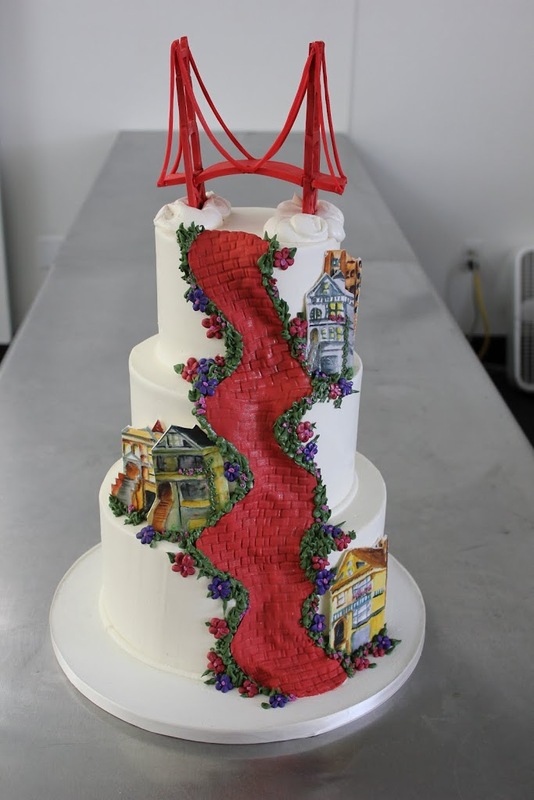 Although not all the standing details are cake, the Ferry Building was made entirely of cake as was the entire city ground. 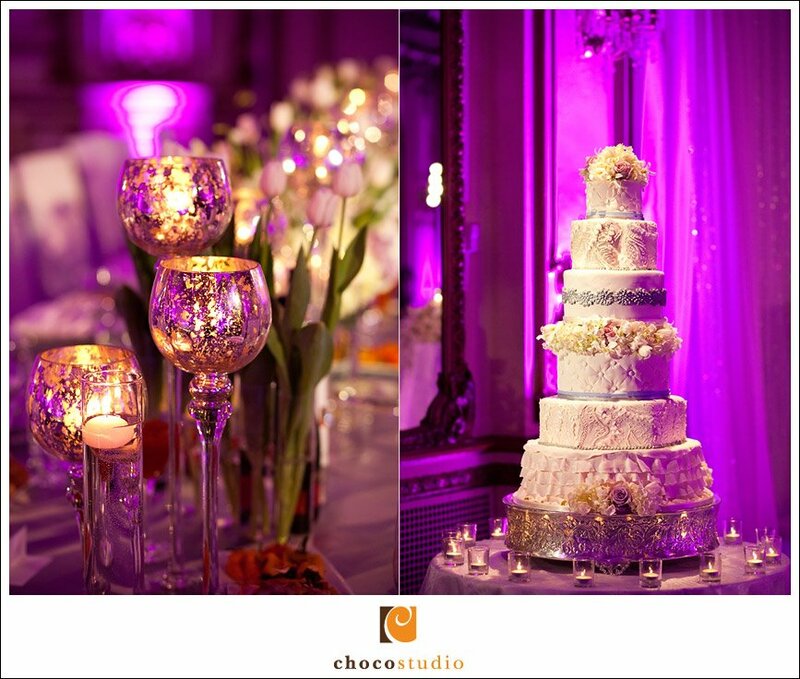 The coolest feature were the little LED lights spread out across the cake to give the effect of a night time city glow. This is most definitely my most popular cake design but there is always a new variation with every client. I especially love the boy and girl silhouette that came off the couple's invitation and the flowers and leaves given to me by one of my favorite florists in town Nicole Ha. The flowers make this cake so dreamy and romantic. Thank you to Meghan Caudill for taking this lovely photo for me. If you look closely you will find all kinds of little insects hidden in the vines and flowers. There was a little sugar squirrel, mouse, lizard, frog, turtle, hummingbird, bees, ants, ladybugs, butterflies, snails and more crawling all about the bright sugar foliage. Thanks to Orange Photography and Nelle with Zah Zoom Weddings.